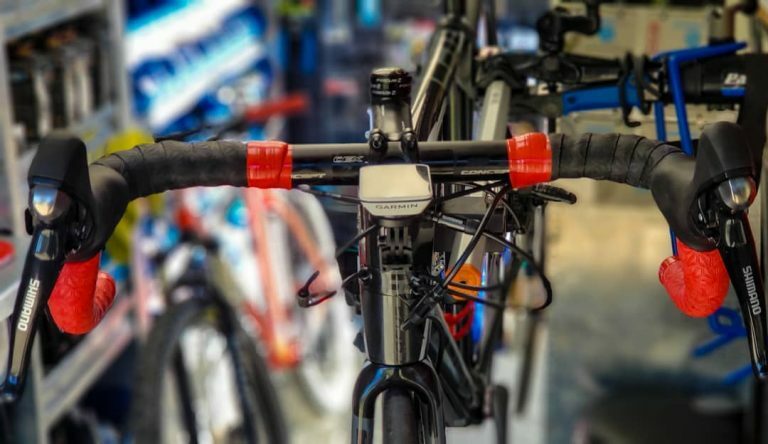 Handlebar tape rarely gets the respect it deserves. Bar covering is an essential component on a bicycle. The right tape is both about performance and style. It’s what your hands feel when you ride, it can damp the vibrations coming up from the road, and it can look awesome. If you’re ever tired of how your bike presents, even just to yourself, fresh tape in a new color can spruce up the bike and add spice to your ride. Even more importantly, tape covers both the handlebars and brake and derailleur housing. For the sake of safety, bars should be inspected after hard crashes as well as yearly, just to make sure there isn’t a likelihood of catastrophic failure (which is, in general, pretty slight). Housing, at least the mechanical cable kind, should also probably get replaced on a yearly basis as riding and the temperature and humidity changes a bike can experience can lead to internal cable corrosion, which reduces cable efficiency and, in extreme cases possible cable failure. Removing handlebar tape usually means destroying the tape as you take it off. Sweat corrosion and Mother Nature also wreak havoc on tape and it’s usually stuck to the bars and itself such that it’s not going back on. Starting with fresh tape is how you recover the bars. Clean off the old tape residue first, let the bars dry, then go at it. There are lots of options out there. Some are purely about style. Some are purely about function. Most are in between. California tape maker Supacaz covers all the options while dressing your bars in good-looking, super-grippy stuff. Supacaz is short for “super casual,” an ode to effortless surf style. Takin’ it as easy as The Dude. We’ll let others decide on whether or not tape can be casual. But in terms of performance and style, Supacaz hits the mark and goes beyond to get you covered. Well beyond. They work with both polyurethane (PU) and ethylene vinyl acetate (EVA) foams for their tapes. Both are silicone gel injected and 3mm thick unstretched, with an adhesive strip on the inside. All kits come with two rolls, two aluminum end plugs that stay put, and two pieces of finishing tape that people will actually want to use. 3mm is on the thicker side of tape these days. However, if you don’t want so much cushion under your hands, Supacaz ribbon can be stretched really tight, thus reducing the cushion. 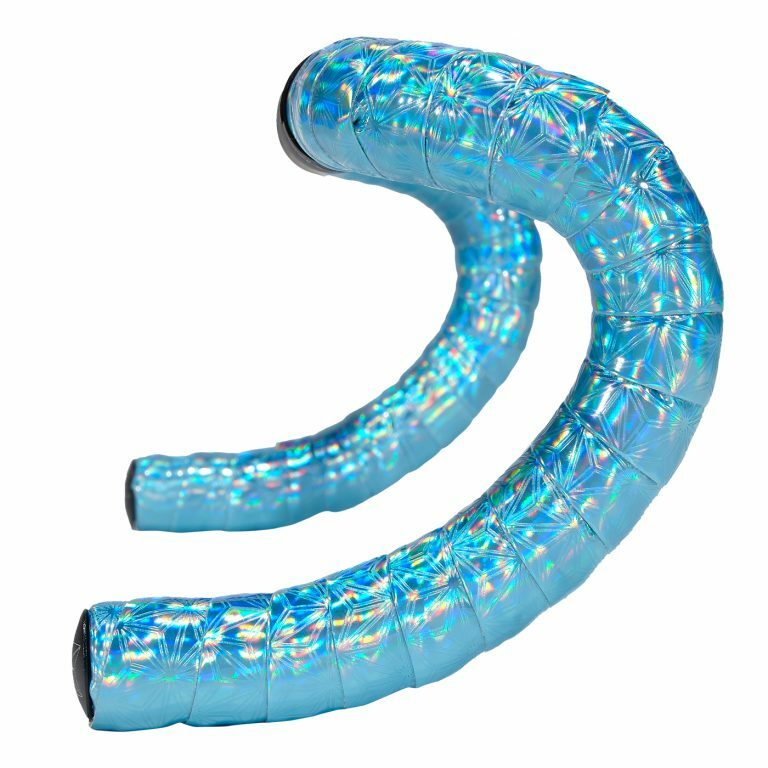 The stuff is super durable, and won’t rip no matter how much its stretched. Supacaz stands so firmly behind the durability of their tape, they have a one-year warranty for their product. If their tape breaks, rips or is faulty in any way, they’ll send you a replacement set of tape; just send them a photo for documentation. The tapes are embossed with the Supacaz star. When wrapped, it makes for a Supacaz galaxy. The grooves created with the star pattern improve wicking and grip; there’s a purpose beyond the style. The embossing creates channels for sweat to fall into and escape while the contrast between the grooves and the regular surface creates a texture. Where Supacaz goes crazy is with their proliferation of styles and colors. If you want distracting hologrammed wrap, they’ve got it. Prizmatik tape comes in four colors that are so distracting, it will take you several rides to not notice it. Onlookers and your friends will be dazzled, always. If you want Bling, they’ve got it. Bling tape comes in gold, silver, and four other colors as well. If you want something that is tougher than dirt and will last longer, yup, that’s in the lineup, too; Suave tape, available in four colors, is the ticket. Where Supacaz is getting the most notoriety these days is with their textured tapes. Velvet tape is EVA finished with a velvety faux-leather feel with embossed stars adding to the already impressive grip. Their most popular grippy tape is their Super Sticky Kush tape. Perhaps the grippiest of them all. 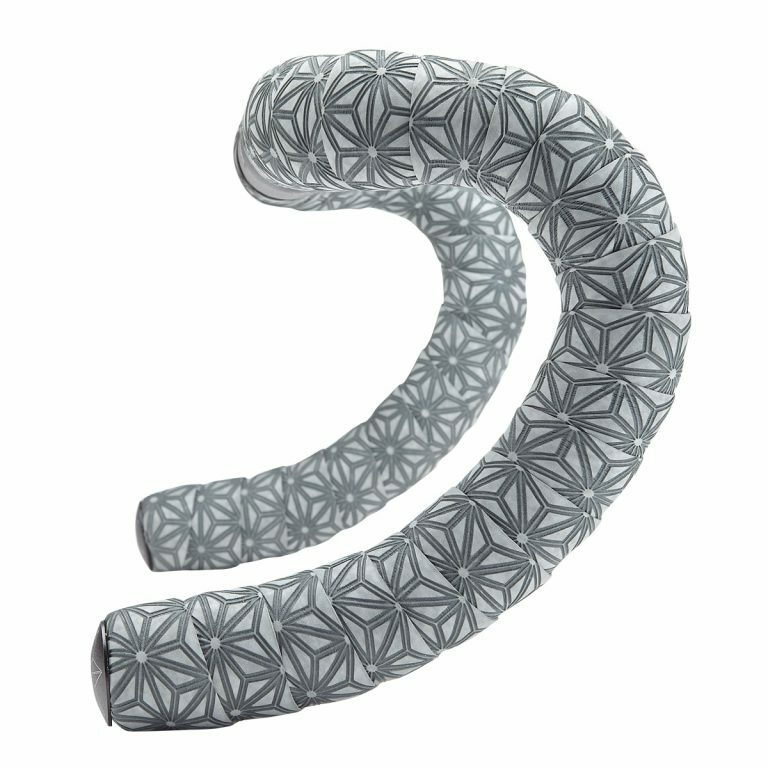 Supacaz has a special treatment for this PU ribbon which results in a super tacky tactile sensation, which is further improved with their embossed star pattern. This tape grips great in the dry and wet, possibly better in the wet. Whether it’s rain or high humidity and super-sweaty hands, your grip won’t slip. Super Sticky Kush comes in 63 different colors: traditional, neon, multi-color, fades, and more. Even traditional black and white can be had. All are fairly easy to clean with soap and water or whatever bike-cleaning liquid you use. Just lather on and rinse off. Supacaz doesn’t package their tape with pre-cut brake clamp pieces. This is for a few reasons, but most importantly, the uncut rolls are more than long enough for even the widest road bars. One can either cut off a short length or just wrap around the lever. Another finishing touch Supacaz went all in with is their end plug. Rather than packaging a short, stubby plug, which can fall out if there’s not enough tape wrapped over the edge, or if you drop the bike once, their plug is long, made of anodized aluminum and comes with an expander wedge. They did this for both purpose and style. They’re not coming out until you want to pull them out, thanks to a 4mm Allen head bolt driving the expander wedge. 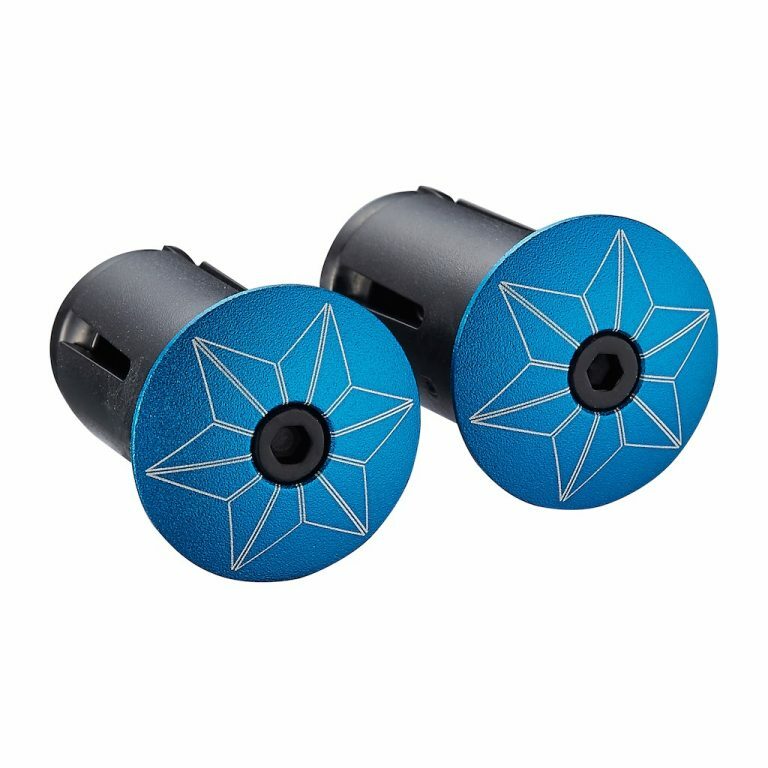 And they are super-stylish with the anodized head featuring both a color that matches the tape and the Supacaz star etched in. As spring is bike overhaul season, your ride is due a cleaning. Treat it right, make it look better, and perform better with Supacaz dressing your drops.